We are dealing in Laboratory Stalagmometer. 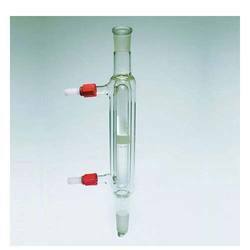 Our clients can avail Laboratory Stalagmometer from us. It is mainly used to measure surface tension for control of wetting agents in nickel, acid copper, acid zinc, acid dips, acid pickles and chromic acid Electroplating Baths. These are easily available at leading market prices. A stalagmometer is a device consisting of a capillary tube with a wide, bulb-shaped middle section and a narrow bottom that together allow a liquid to form a drop as it falls from the tube. 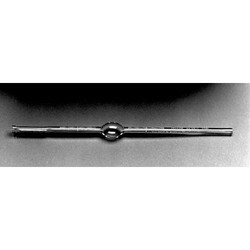 The stalagmometric method is one of the most common methods for measuring surface tension ... A stalagmometer is a device for investigating surface tension using the stalagmometric method. It is also called a stactometer or stalogometer.